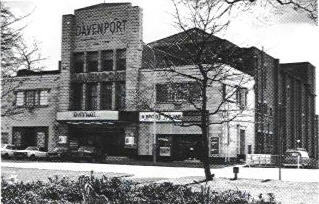 The Davenport Theatre, affectionately known locally as "The Davvy" was situated on the main A6 between Hazel Grove and Stockport Town Centre. The Davenport opened it's doors to the public on Thursday the 17th of June 1937. The opening ceremony was performed by the then Mayor of Stockport, Alderman George Padmore JP. The unique design of the building was awarded to local architect, Charles Hartley, LRIBA FMSA by the owners Mrs. J.C. Burns and her son Mr. E. C. Burns. The main contractor was G & W Smith (Builders) Ltd. Of Hyde Grove, Manchester, with the main steelwork, supplied by British Steel, erected by Heenan, Beddow & Sturmey Ltd. Of Newton Heath, Manchester. The Davenport having seating for 1750 patron, 500 in the balcony and 1250 on the ground floor, all with line of sight perfect from every seat, had for the day, the very best in high tech equipment, including Holophane ! 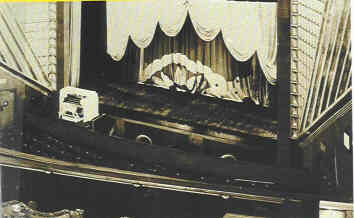 Living Light !, Mirrophonic, the latest and best of the Western Electric Sound Systems, the most up to date 3 manual Compton Theatre Organ, heating and ventilation, filtered, warmed or cooled, with the 18,000 cubic feet of conditioned air entering the auditorium every minute, with a complete air change every twelve minutes and a fully equipped stage sufficient for general theatrical requirements complete with dressing rooms. At the front of the Theatre was a lay-by to enable patrons to be dropped off and collected before parking the car on the huge car park at the rear of the theatre. In the balcony, were dual seats, which were real favourites of courting couples in those days. On the first floor, above the entrance foyer, the Davenport sported a first class spacious Cafe complete with polished dance floor. Symbolic sketches were reproduced on the walls. Mr. & Mrs. Burns had many successful years in the theatre business. Following the death of Mr. Burns, Mrs. Burns sold the Davenport to Mr. Jack Edge, whose family owned the Tatton Cinema at Gatley and the Savoy Cinema at Heaton Moor, Stockport. The sale was conditional on the understanding that the Davenport would continue to run not just as a cinema but as a full theatre. This undertaking was honoured up to the Davenport closing. 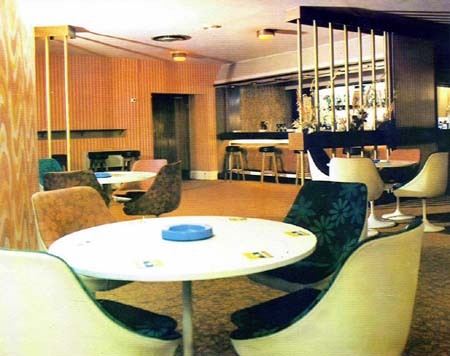 During the 1960`s the cafe was leased to Stanneylands who re-developed it into a quality restaurant. The main entrance and auditorium at this time was also given a makeover, with deep pile carpets in the foyer and the auditorium walls draped with tasteful material. A Bar was also installed in the main foyer. 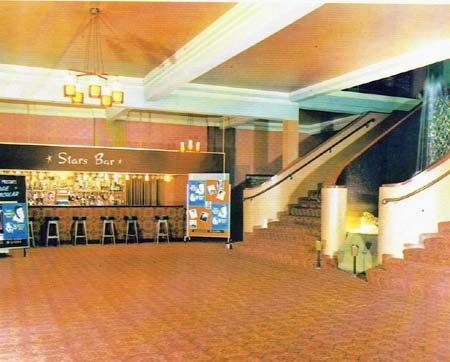 In the early seventies following the end of the lease by Stanneylands, the cafe/restaurant area was developed into a small cinema. The two auditoriums were then named The Major and the Minor. 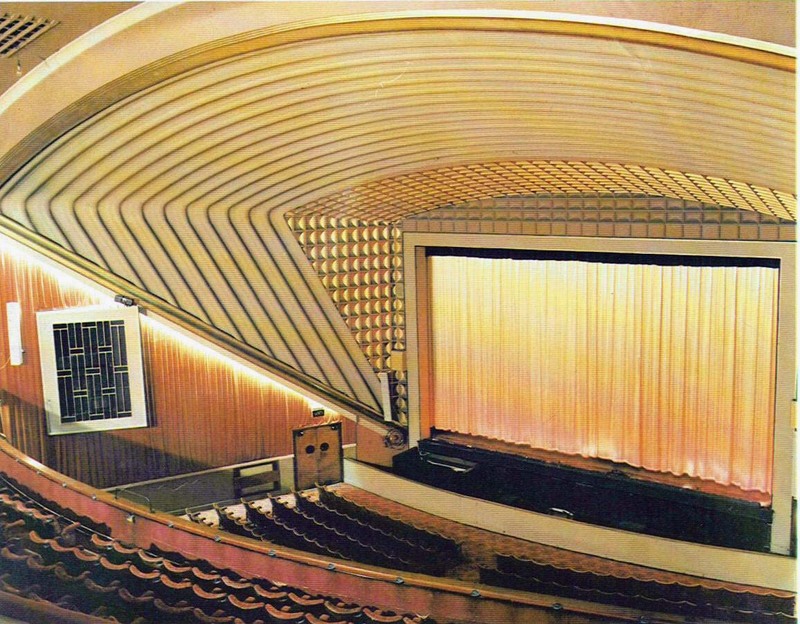 Also in the seventies the Davenport was chosen to be featured in the film "Yanks", the auditorium being given a wartime period look and featuring the Compton organ played by the late Ronald Curtis. Over the era that Jack edge owned the theatre, the Davenport was renowned for its quality productions and pantomimes, plus pop concerts, drama plays and productions by local amateur operatic and dramatic societies. 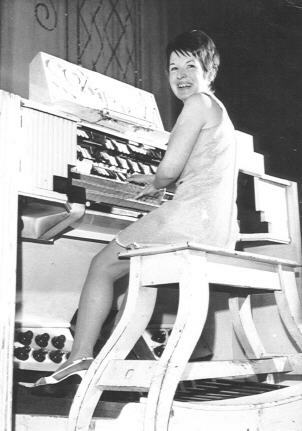 During this time the Compton Organ was used regularly each weekend featuring Joyce Alldred who was resident organist for 17years from 1966. Following the decision by Jack Edge to retire in the mid nineties, the Tatton Group as then the chain was known, was taken over by Apollo Leisure. 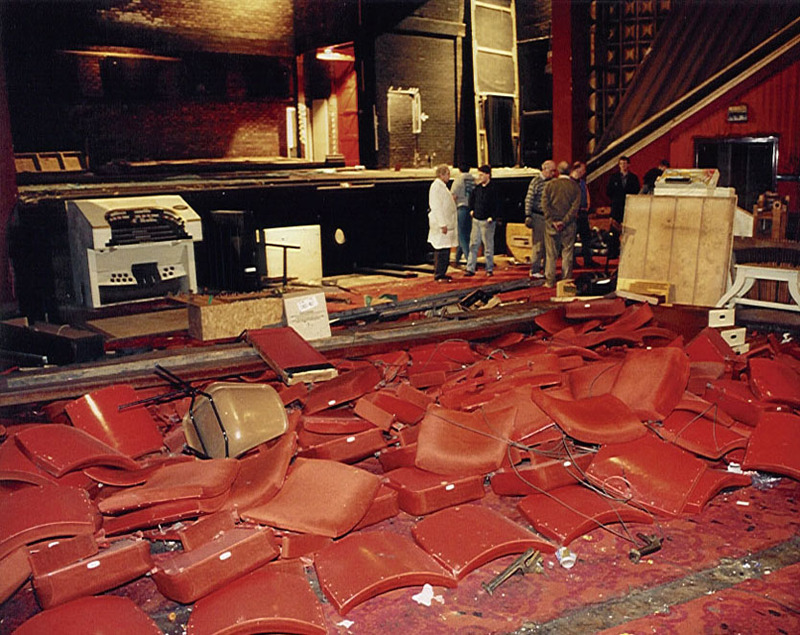 This association was sadly short lived as by March 1999 the theatre had been closed and very swiftly demolished to the shock and disbelief of the people of Stockport.